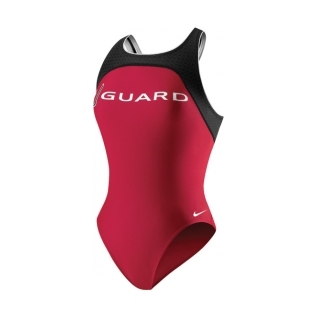 Engineered with our premium Nike NX fabric and a more conservative back, the Nike Guard Power Back Tank is designed for the active lifeguard. 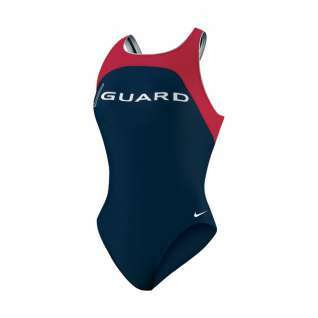 Engineered with Nike NX, a highly durable nylon (81%) and chlorine resistant spandex (19%). Nice suit, wife is lifeguard and really likes it.